While the Chinese integrated circuit industry has formed a relatively complete technology system over the past decade, more efforts should be made to improve the ability of Chinese companies to innovate and attract talent, industry experts said at a conference on Thursday. Ye Tianchun, director of the Institute of Microelectronics at the Chinese Academy of Sciences, said at the 21st China IC Manufacturing Annual Conference in Wuxi in East China's Jiangsu province that the Chinese IC industry has seen its ecosystem completed and competitiveness enhanced over the past 10 years. Up till now, a total of 103 key materials and 20 key pieces of equipment for chip production and 17 for advanced encapsulation have past verification by large assembly lines and sold in both domestic and overseas markets, he said. Meanwhile, industry practitioners have largely improved their manufacturing and research capabilities over the past few years. By the end of this year, Chinese IC industry specialists will complete the research and development of the 28-14 nanometer IC production technique and a major breakthrough will be seen in the R&D of the 7.5 nm IC. "The Chinese IC manufacturers started by introducing technologies from other parts of the world. With a fundamental understanding of IC production, they started to innovate. Over time, we have seen Chinese companies spend more on R&D to create their own products and technology. More importantly, they are also seeking overseas cooperation," Ye said. Chen Nanxiang, executive vice-chairman of China Resources Microelectronics Ltd, said that the company will focus on the R&D of key products and IC modules. Meanwhile, they will seek cooperation with other companies, consider mergers and acquisitions and start equity investment when appropriate. But as Chen explained, the shortage of talent is a problem that Chinese IC industry should grapple with in the first place. "The average sales revenue per capita should be increased so that companies can come up with attractive packages to retain the right talents. The success of the many mushrooming Chinese IC companies lately shows they are largely dependent on talents," he said. Zhou Zixue, chairman of China Semiconductor Industry Association, also agreed that the shortage of talent is the most urgent challenge needing to be addressed. Statistics provided by the Ministry of Industry and Information Technology showed that a total of 720,000 candidates will be in need by the Chinese IC industry by 2020, but the shortage will reach 320,000. "The problem is that finance is still the most preferred job opportunity among qualified candidates, followed by the internet and manufacturing. The IC industry only comes fourth or fifth on their priority list," he said. "Some Chinese companies have already come up with the latest technologies. But what we need is the development of the entire industry, which requires both financing and talent," he added. 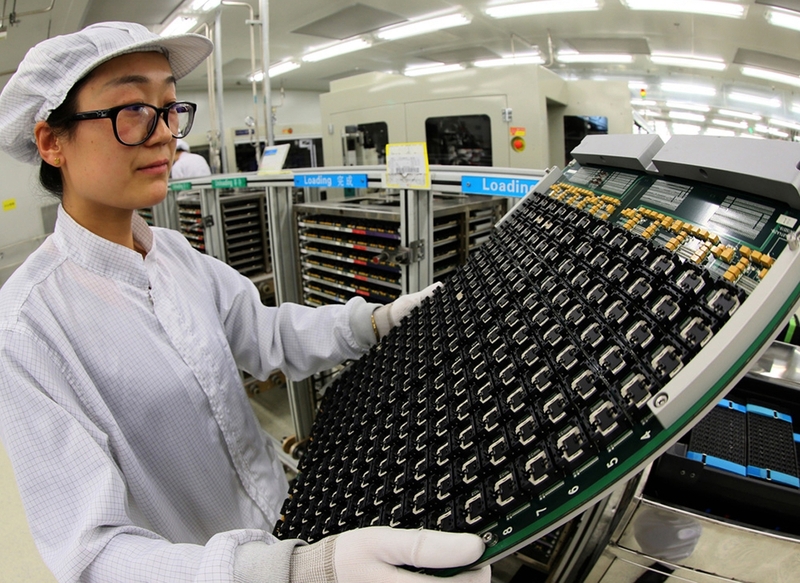 According to the China Semiconductor Industry Association, the total market value of the Chinese IC industry rose 20.2 percent year-on-year to 543 billion yuan ($79 billion). The number will exceed 648 billion yuan by the end of this year, with an annual growth rate of 19.5 percent.